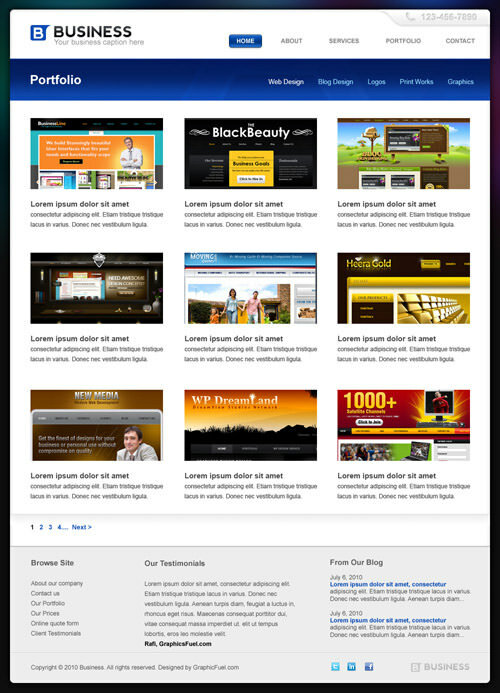 This exclusive freebie is a pack of 5-page Professional Business Website Templates in Photoshop .PSD format. 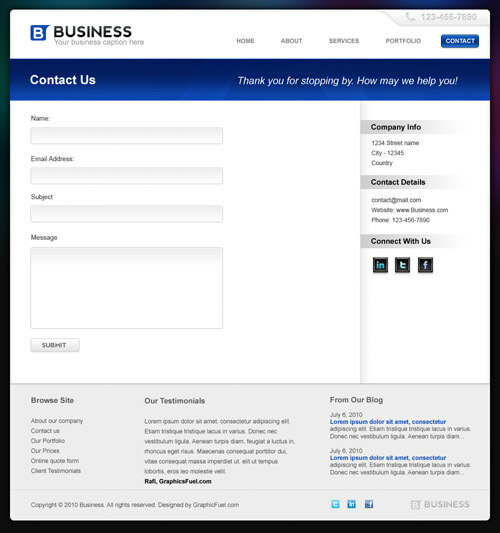 The design uses a clean, slick and professional look throughout the templates with blue as the accentuating color. 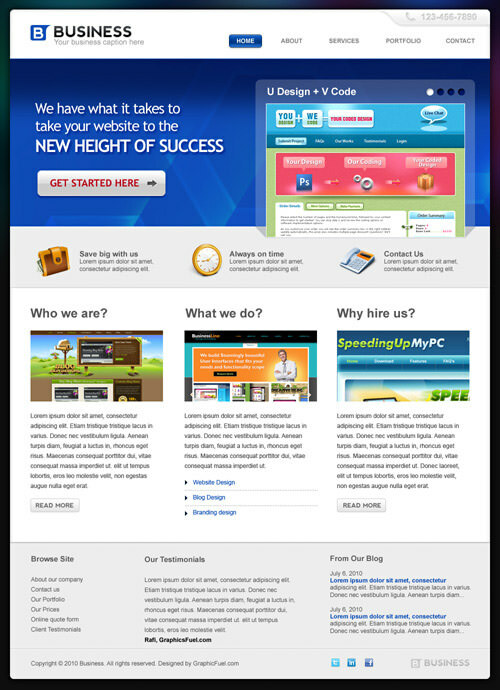 The design is ideal for your business or corporate website. 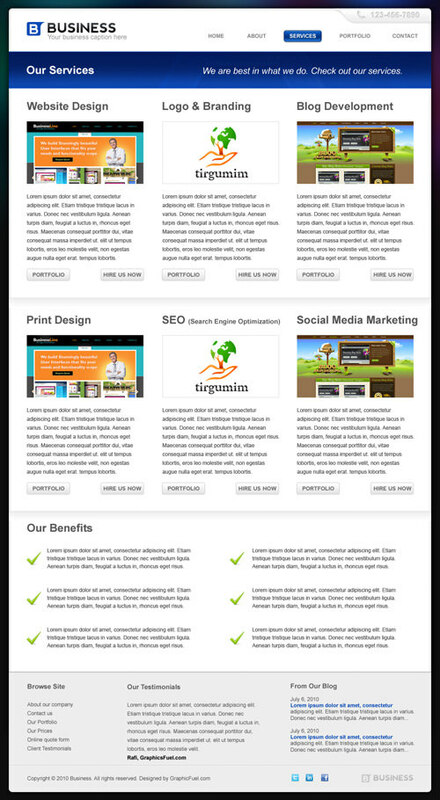 The design comes in 5 templates: Homepage, About Us, Services, Portfolio and Contact. All the pages are fully-layered .PSD files, and are neatly organized in folders for easy identification and necessary editing of logo, text and graphics. Since the templates are all ready for slicing, you can get them coded with appropriate modifications to fit your business needs. 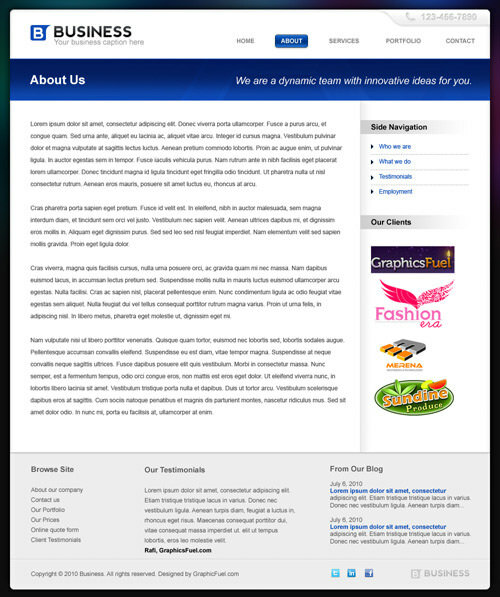 These business website PSD templates are created by GraphicsFuel and released exclusively for Hongkiat as royalty-free, so you can use them for your personal or commercial purposes. Redistribution however is prohibited. Here’s a preview of all 5 pages. All the 5 Photoshop files are included in a single zip file. Rafi Md is a freelance graphic designer from India. He’s the Founder and Photoshop Freebie Creator for GraphicsFuel, a graphic design blog providing original, high quality Photoshop freebies and design resources. You can also find him on Twitter as @graphicsfuel.